40kg Dogtooth out of Trees and Fishes! 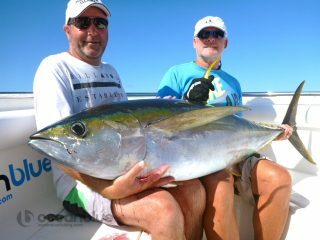 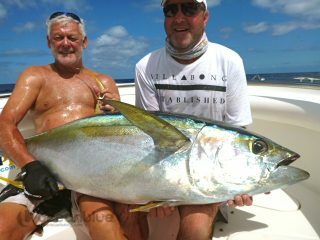 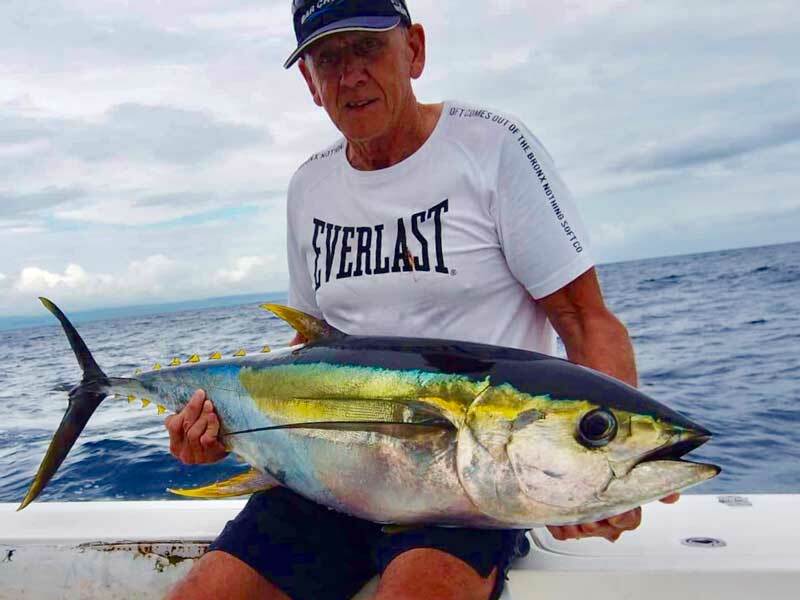 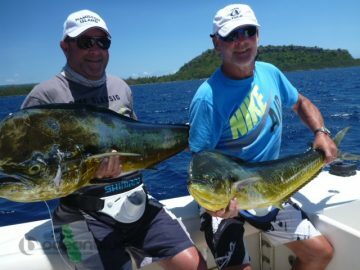 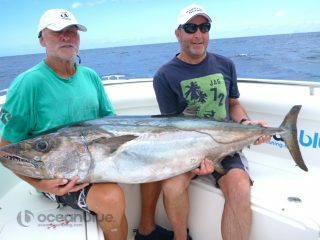 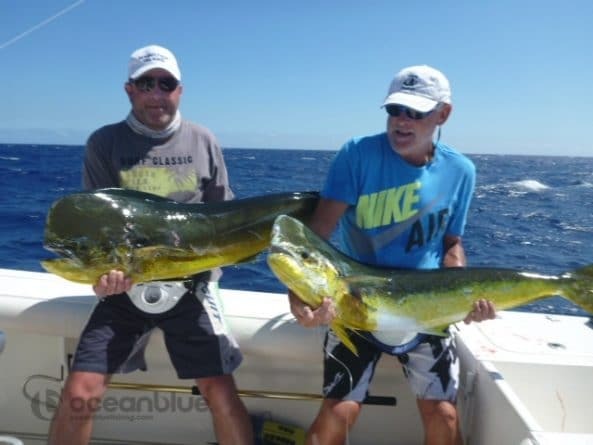 This was Peter Hudson and Steven Bowers first Vanuatu sport fishing trip with Ocean Blue and rated their fishing experience and stay with us at Trees and Fishes, 5 out 5. 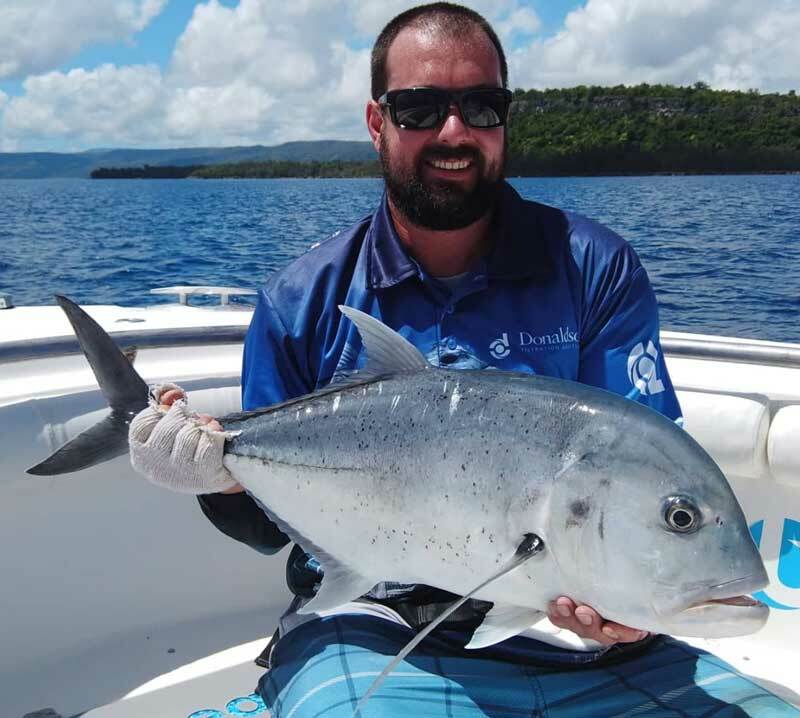 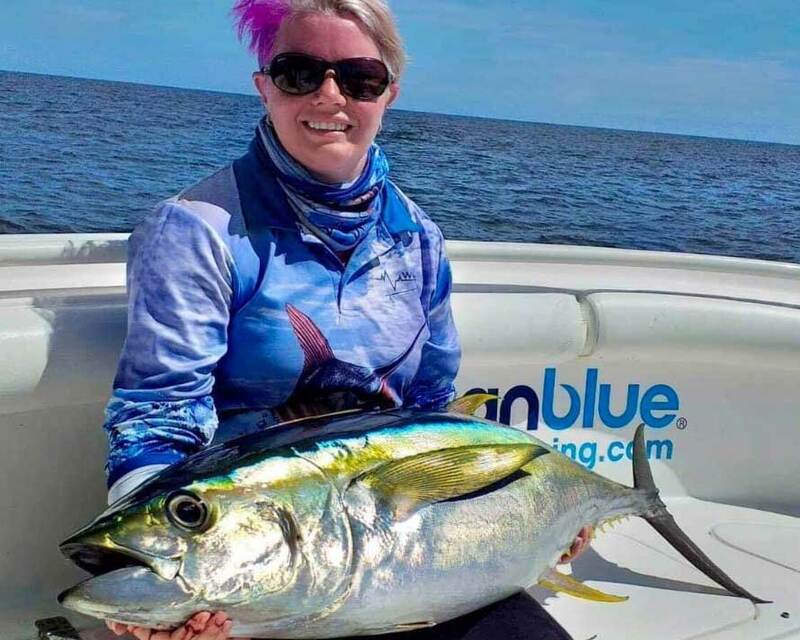 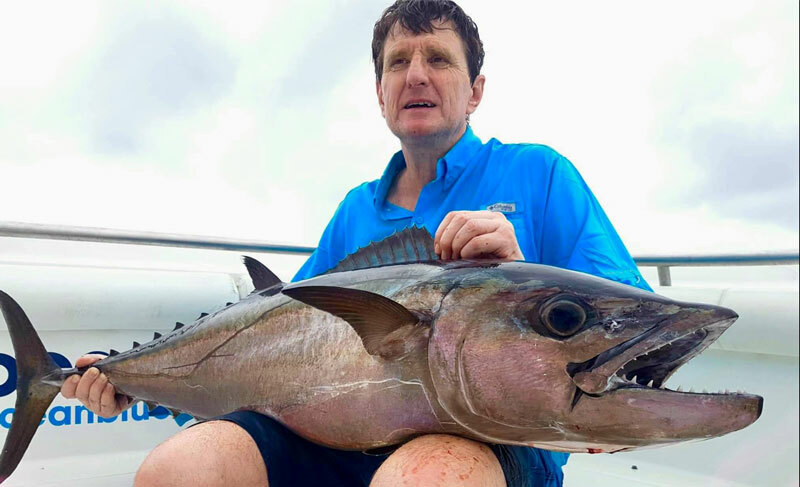 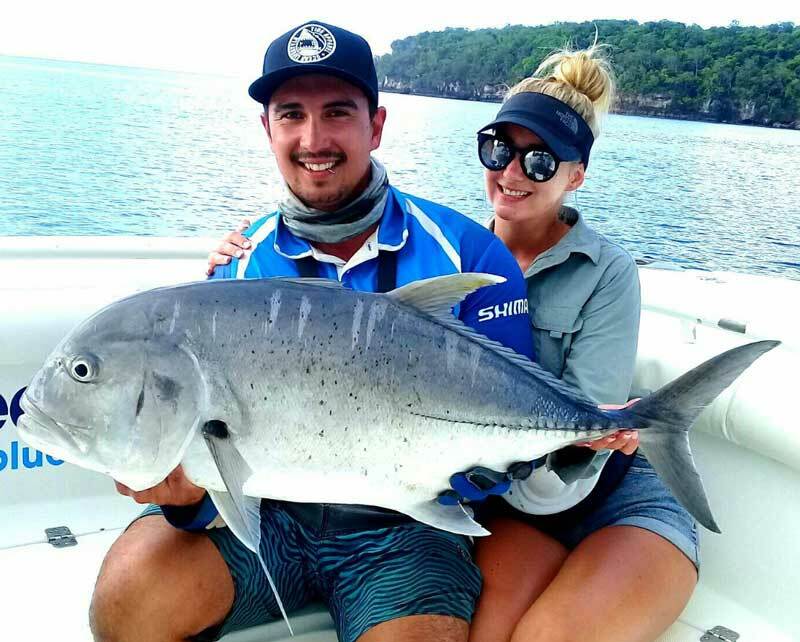 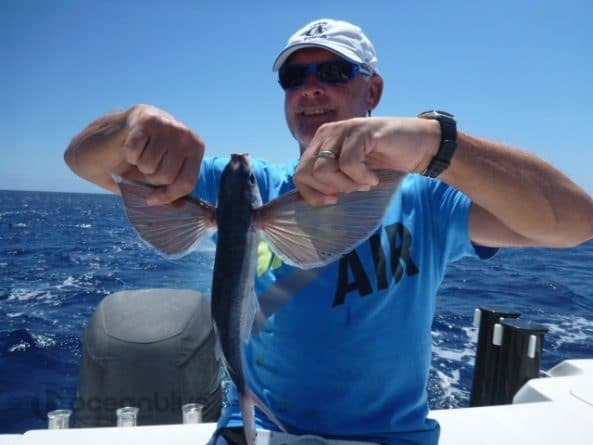 With the weather warming up and crystal clear waters, ocean blue guide Eric Festa targeted the FAD’s and surrounded seamounts where Peter and Steven got put on some great fish catching over 12 different species and beating some of their personal best. 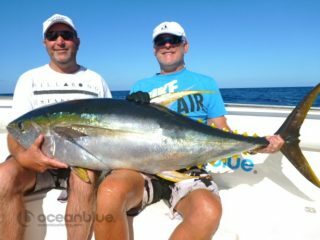 These included a 40kg dogtooth (caught out of the lodge) and a 55kg yellowfin tuna. Congratulations to Peter & Steven on your amazing catches. 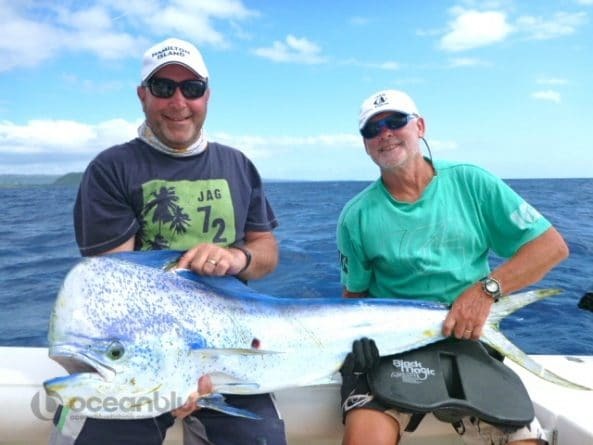 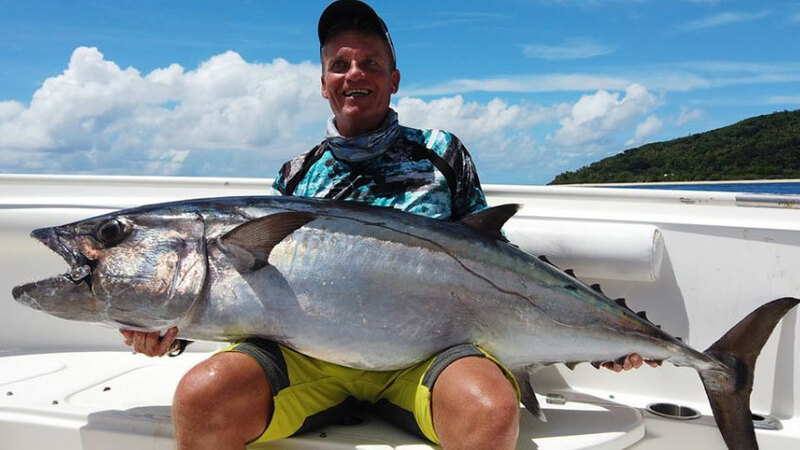 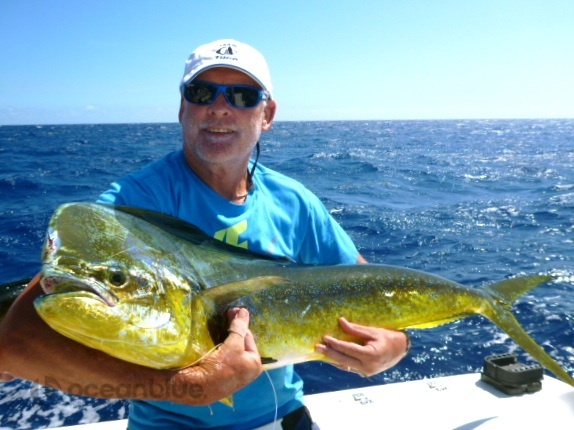 Vanuatu Sportfishing Adventure – 9th – 14th November 2015! 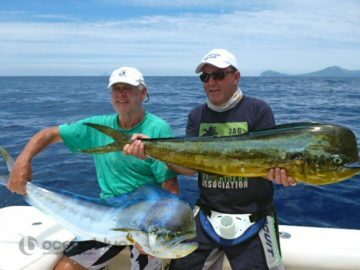 Peter & Steven are looking at returning to Trees and Fishes with their wife’s and staying in our new Luxury Villa Suites.